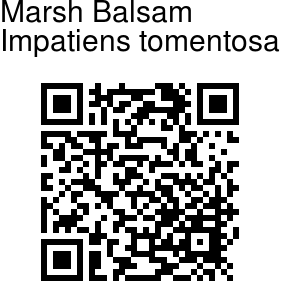 Marsh Balsam is an annual herb with smooth stems and stalkless or short-stalked leaves. Leaves are oblong-lancelike, acutely serrated, slightly bristly above, pale and smooth beneath. Flowers arise on velvety pedicels in leaf axils, either solitary or twin. Anterior sepal is hooded, and has a short spur. Capsule is oblong, smooth. 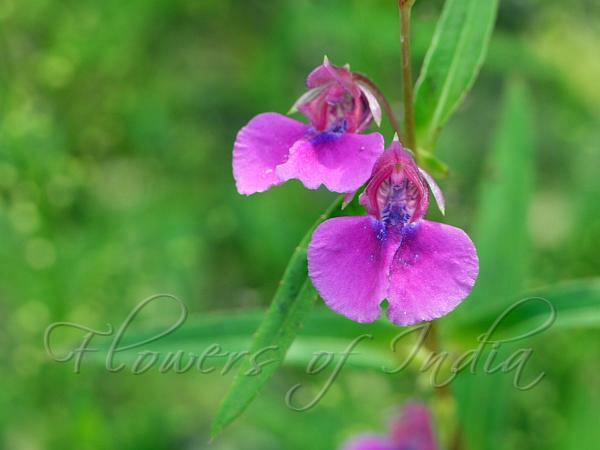 Marsh Balsam is found in marshy places on the Nilgiries, Karnataka and Maharashtra. Flowering: August-September.